President of L.J. CRAIG & Associates, Inc.
Dr. Willis is President of L.J. CRAIG & Associates Inc., a management and organizational consulting firm, which is the culmination of thirty-three (33) years of Human Resources and management experience. The firm specializes in the design and delivery of “People Management Systems” including but not limited to employee training, the design and administration of assessment centers, structured-behavioral interviews, written exams, organizational development, performance management systems, coaching for promotional testing, and job analysis. Some training programs are; Eight Steps To A Winning Corporate Culture, Developing a Leadership Mindset, and Compensation Overview Program for HR Managers. The custom designed products and programs follow an in-depth needs assessment, are tailored to each organization’s culture, and adhere to legally defensible principles. Her firm’s clients represent a diverse mix from the public, private and not-for-profit sectors in the U.S., the Caribbean and Thailand. Dr. Willis also serves as an expert witness for attorneys in the employment law discipline. She has worked on cases for the public and private sectors throughout the United States. The following cases I worked on over the past five (5) years have increased my knowledge and expertise in Human Resource Management, management and international business. Linsey is a full-time instructor for Florida Atlantic University at the Barry Kaye College of Business – Department of Management., She teaches management and HR undergraduate and graduate courses. She also teaches for the Office Depot Center for Executive Education for the College of Business (i.e., HR Certificate and Advanced HR Certificate programs). Prior to her full-time employment at F.A.U. for ten (10) years, Linsey was a highly regarded adjunct faculty member at the H. Wayne Huizenga School of Business & Entrepreneurship at Nova Southeastern University, and taught a variety of graduate Human Resources and Management courses. She designed and regularly taught an eight (8) hour workshop, “Interviewing Skills” for all one (1) year M.B.A. students. Linsey’s past extensive experience teaching graduate students and conducting seminars took her to Thailand, Jamaica, and the Bahamas, as well as all over the United States. Taught the following graduate MBA, Masters of Science in HRM and Masters of Science in Leadership courses: Managing Human Resources, Measuring Human Resources, 21st Century Management, Contemporary Leadership Research, Special Topics In Human Resources, Leadership: A Behavioral Science Approach, Employee Health & Rewards Systems, Human Resources Development, and Advanced Organizational Development. Taught the following undergraduate courses as needed: Human Resource Management, Training & Development, Strategic Compensation. Wrote the curriculum for all three courses and prepared power point materials. Taught at least once a year the following graduate courses as needed: Human Resources Development Consulting, Financial Management for Human Resources. Wrote curriculum for both courses and prepared power point materials. Dr. Linsey Willis graduated with honors with a Doctorate in Public Administration from the H. Wayne Huizenga School of Business & Entrepreneurship of Nova Southeastern University. She holds an M.A. degree in Forensic Studies from Indiana University, and also graduated with honors from Florida Atlantic University with an M.P.A. degree. Linsey received her Bachelors degree in Political Science from the University of Kentucky, Lexington, KY and her A.A. degree from Colby-Sawyer College, New London, NH. The Human Resources Certification Institute of the Society of Human Resource Management certifies her as a Senior Human Resources Professional (SPHR). Her 33-year career includes three years as a Director, Human Resources for the Clerk of the Circuit Court 15th Judicial Circuit in Palm Beach County, Florida and eight (8) years in the Palm Beach County Employee Relations & Personnel Department as Manager of Recruitment & Selection. She was instrumental in designing and implementing the Dade-Miami Criminal Justice Assessment Center at the School of Justice and Safety Administration in Miami, Florida from 1981-84. Author of Critical Thinking Application 5-A: Freeman et al. v. The New Oxford Fire Department in Human Resource Management An Experiential Approach, 6th Edition by H. John Bernardin and Joyce E.A, Russell (2013), pp. 561-565. Author of Strategies and Methods for Competency-Based Selection and Leadership Development: Four Case Studies, in Current Practices, Insights and Perspectives, the 2006 Pfeiffer Annual Human Resource Management (editor, Robert C. Preziosi). Author of Recent Research on the Performance Management Process, Three Case Study Applications and Recommendations in the 2007 Pfeiffer Annual Human Resource Management (editor, Robert C. Preziosi). Trained/Certified Assessor: Assessment Designs International & O’Leary, Brokaw & Associates. Received over 180 hours of training in assessment center techniques e.g., job analysis, data analysis, questionnaire design/administration, assessor training etc. Received 40 hrs. of advanced instructor training from F.B.I. Academy staff. Co-editor of the 2003 and 2011 (13th) editions of the college textbook, Human Resource Management by Mathis & Jackson. Apiradee Amnuckmanee: Self-Perceived Leadership Styles of Chief Faculty Officers at Kasetsart University During Reforming Period from Public to Autonomous University in Thailand. Chwen-Li Chang: Investigating Leader-Member Exchange and Team-Member Exchange as Moderators of the Relationship between Transformational Leadership Practices and Team Effectiveness. Odessa D. Evans: An Examination of the Relationship between Organizational Trust and Organizational Commitment in the Work Force. Edeta Roofe The Value Orientation of Jamaican Students in the United States of America and Jamaica. Lynn University Ph.D. Program: Eugene G. Savage: Examining the Post September 11, 2001, Practices of Accredited and NonAccredited Law Enforcement Agencies in the Aspects of the Training, Legal Service Delivery. “The SFILG was established in the 1980s as an organization dedicated to creating and fostering cooperation and the exchange of information between federal contractors in the Southeastern Region of Florida and the OFCCP, the EEOC and other federal and state agencies focused on affirmative action and equal employment opportunities. Educate our constituents on developments regarding equal employment opportunity and affirmative action and related regulatory changes” (SFILG website; sfilg.org). Stearns Weaver Miller Weissler Alhadeff & Sitterson, P.A. Seminar – The FLSA: The Lawsuits Keep Coming – Tips to Minimize Exposure – January 18, 2012. Stearns Weaver Miller Weissler Alhadeff & Sitterson, P.A. Seminar – Dealing with Nightmare Employees: How to Avoid Retaliation and Whistleblower Claims – Wednesday, February 29, 2012. South Palm Beach County Bar Association Seminar – Labor & Employment “Smart Hiring” – May 3, 2012. Arnstein & Lehr LLP Seminar – Managing in Cyberspace: Social Media in the Workplace –July 12, 2012. South Florida Industry Liaison Group Program – All Along the Watchtower – The OFFCP’s View – October 12, 2012. Richard Bernstein & Associates, Inc: “The Power of Why: Breaking Out in A Competitive Marketplace” pre-lease book signing and presentation by C. Richard Weylman at the Mar-al-Lago Club, 1100 S. Ocean Blvd, Palm Beach, FL – Saturday, March 30, 2013, 5-7 PM. South Florida Industry Liaison Group (SFLIG) Presents: The Compensation Challenge: Are You Ready for An Audit? : May 19, 2010. Stearns Weaver Miller Weissler Alhadeff & Sitterson, P.A. Breakfast Seminar – Wednesday June 16, 2010: Talkin’ Bout our Generations: Bridging the General Gap and Adapting to the Digital Workplace, HR Palm Beach County September 16, 2010 Meeting: 7 Policies that Create “WOW”. Stearns Weaver Miller Weissler Alhadeff & Sitterson, P.A. Breakfast Seminar – October 20, 2010: The Big Picture: Reevaluating Your Workforce Breakfast Seminar. Proskauer Law and the “Reality” Workplace – A Seminar on Legal Issues Facing Human Resource Executives and In-House Counsel – Thursday, March 10, 2011. HR Palm Beach Country August (Compressed) Dinner Event 2011: Behind the lines: A Plaintiff Attorney’s Perspective on Employment Law and Litigation and Pre- meeting seminar: Stepping into US Immigration Territory-Employer Compliance. 13. Stearns Weaver Miller Weissler Alhadeff & Sitterson, P.A. Breakfast Seminar – Tuesday, September 13, 2011: The Pen is Mightier: A How-To on Keeping Accurate EmployeeRecords. HR Palm Beach Country September Breakfast Event 2011: Your Total Rewards, Pay for Performance, & Incentive Plan Design? Your Competition Has! Pi Alpha – National Honor Society for Public Affairs and Administration, Florida Atlantic University Chapter, May 14, 1990. Sigma Beta Delta – National Honor Society for Business, Management and Administration, Nova Southeastern University Chapter, June 27, 1998. Society of Human Resource Management (SHRM) – national chapter and Palm Beach and Broward county chapters. International Association of Chiefs of Police current and Member of Education & Training Committee – 2003-2008. National Association of Women Law Enforcement Executives – supporting member. 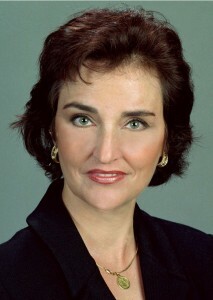 Board Member of the South Florida Industry Liaison Group (March 2010 to present).